Transportation infrastructure in cities across the globe has always played positively for the realty sector. The development of East-West metro corridors in Kolkata is not an exception. It not only takes the city’s transportation infrastructure to a new height, but has also induced a rapid boost to the realty sector of Kolkata. Like any planned infrastructure does, this one also results in massive real estate growth especially in the areas mostly covered by the metro route. Residential and commercial properties located close to the upcoming metro hubs are attracting quite a large chunk of investment following this development. Experts have already pointed out that with the metro corridors, real estate prospects near Airport, Rajarhat and Salt Lake has improved a lot. Not only the demand has increased in this sector, the cost per square feet has also soared. Which was only a commercial area just a few years ago is now becoming a hub of residential projects too. The upcoming metro corridor is eliminating traffic woes by extending the roads close to metro, which is also impacting the demand for housing in these areas. No wonder, affluent builders are taking a lot of interest in this latest development plan. The upcoming East West Metro network is a boon for Kolkata, as commuting from one part of the city to another will become easier than ever before. What’s more important is that the east-west metro corridors are quite likely to uplift the areas, which are far from the suburban railway stations but close to the upcoming East- West corridors. It will also have a significant impact on the lesser-known areas covered along its routes. 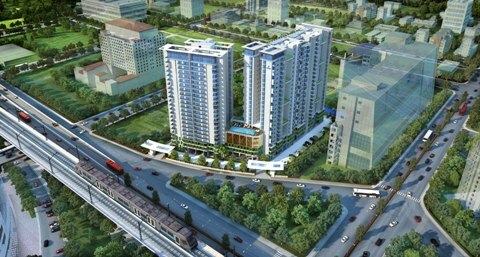 It’s been already noted by the experts that the development works of metro project have impacted massive real estate growth in the areas, which has so far been ignored by the potential homebuyers and the real estate developers. The areas which are already operational metro route, have witnessed an appreciation of 10-20 per cent in the previous years. That’s also a reason, the experts are forecasting the same rate of growth in the real estate sector after the completion of Metro work which is underway. In order to make the latest amenities available to the citizens, the government has prioritized to the development of modern infrastructure across the city. The Metro East-West Corridor is a part of this venture too. Today’s fast-paced life demands the best of transport and livelihood facilities, especially in the special economic zones of Rajarhat, Newtown and Salt Lake as well as in the associated areas of Airport. The development of the IT sector in these areas has invited a lot of investment in the current years. At the same time, these areas have a growing interest among the potential homebuyers. According to the experts, this trend will boost after the Metro East-West Corridor connecting Garia on one side to Airport on the other becomes operational. It’s quite natural that in the next five years, these areas are going to witness a massive boost in terms of real estate development. With the availability of infrastructure and other civic amenities, this trend is only going to escalate with every passing day. Needless to say, the upcoming metro corridors will impact the growth of demand as well as the price of flats in these areas at equal pace.